What Is A Compact Gun? Why Buy A Compact Gun? My own very loose definition of a compact-sized semiauto pegs the barrel length around four but no longer than five inches and the magazine capacity around fifteen. That takes in a lot of guns, especially now when manufacturers have based a large part of their production on carry guns. Most companies make full, compact and subcompact size pistols but I think a large part of their production is going into compact-sized guns due to the popularity of these firearms. Case in point: Smith and Wesson just announced about a few weeks before this writing the introduction of the 2.0 version of their popular .45 M&P compact. This is a move that updates their big-bore, version 1.0 .45 ACP compact and brings it into alignment with the rest of the 2.0 series of guns. They already had the full-size .45 in 2.0. Now they’ve added the compact model. They wouldn’t bother if the gun wasn’t a good seller already – the 2.0 improvements should only make it more desirable. As the wag said, why not? Compacts have advantages the other two categories don’t have. As Goldilocks found out, the middle ground was the best. 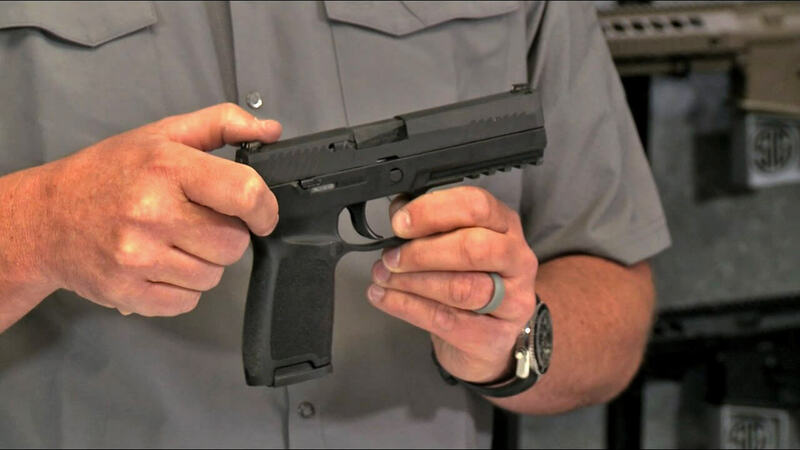 Subcompacts may just be too small, disallowing a three-fingered grip on the gun and limiting capacity to ten or fewer (usually fewer) rounds. On the other hand, full size guns may be too large for your carry purpose. A very popular way of concealing a handgun involves carrying a gun inside a waistband…full-size guns are usually more at home outside your belt in some type of duty- or full-size holster due to their longer length and height. Where these guns shine is in the duty realm, on the belt of a peace officer or as a home defense gun, easily accessible to the homeowner when things go south at three a.m. In these cases, a sixteen-to-nineteen round capacity is appreciated. Some folks can get away with carrying a full-sized gun concealed but most will opt for a smaller version. 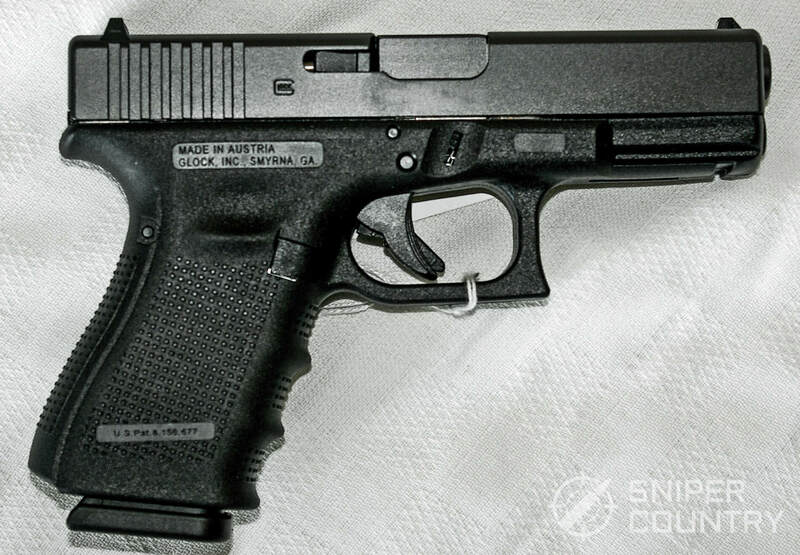 If you could pick one gun as the representative of compacts in general, most generally that gun would be a Glock 19. Love ‘em or hate ‘em, Glocks are very popular and are carried by the majority of law enforcement agencies in the U.S. And, the most popular model made by Glock is the model 19. 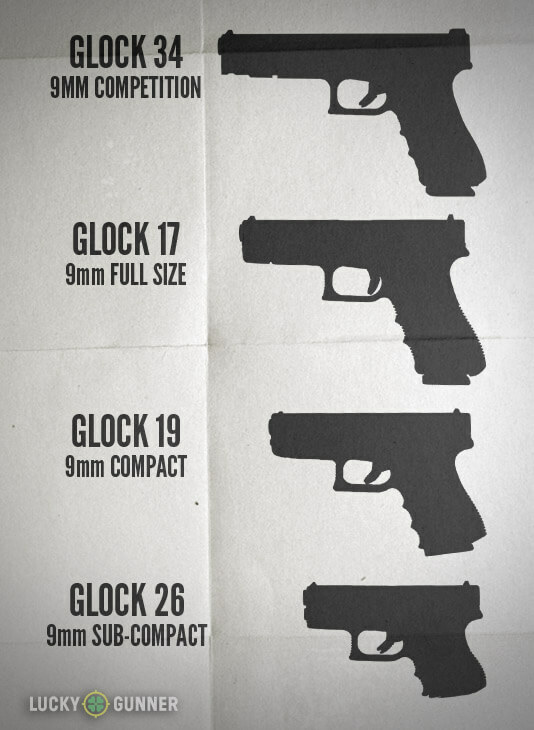 Size: The G19 is about five inches high and a little over seven inches long. This makes for an easily-concealed firearm. Width is a little less than an inch and a quarter and it weighs about 21 ounces without a magazine. Capacity: The G19’s standard magazine holds fifteen rounds. 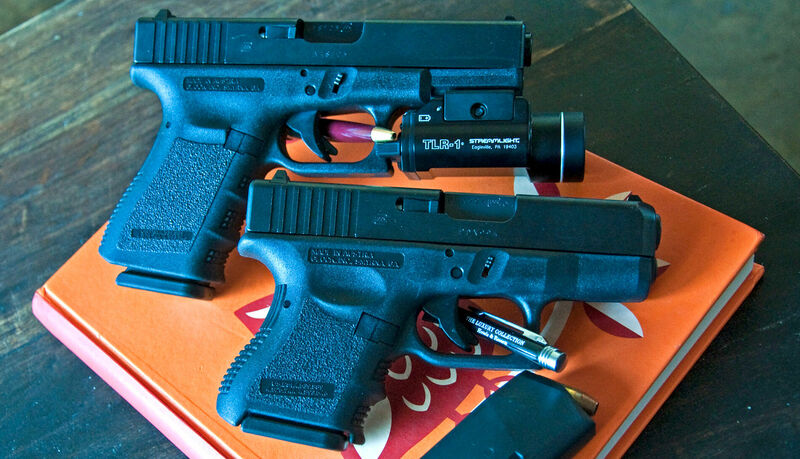 It is interesting to note, in the G19’s case, that it can use other Glock magazines holding up to thirty-three rounds. These are the two main factors that helps citizens who carry a concealed weapon decide to make it a compact 9mm as opposed to a smaller or larger one. These factors hit the carry gun sweet spot for many people, making it the “Goldilocks gun” for concealed carriers. Not too big, not too small – just right. The compact gun is equally at home in an inside-the-waistband (IWB) or outside-the-waistband (OWB) holster. The choice is yours alone, whichever carry method works best for you. Most compacts share similar size and capacity specs, as we shall see, so you have many guns to choose from. Another deciding factor is that, with a couple of fifteen-round spare magazines on your person and a round in the chamber, you are carrying exactly four rounds shy of a fifty-round box of ammo. If you can’t resolve your situation with forty-six rounds, maybe you shouldn’t be carrying a gun. (Remember, I’m talking about civilian carriers – not law enforcement officers. There are some pretty horrific true-life stories out there about police-bad guy firefights that have taken place over the years but that’s a different issue). For the majority of us concealed carriers, a full mag and a spare is usually enough. Statistics prove that most civilian encounters that involve a legally-carried sidearm is usually resolved either with no shots fired (the display of the handgun scares off the attacker) or if the gun has to be fired, an average of two to three rounds is enough to end the attack one way or another. (It’s really hard to come up with that “average” number-some encounters may involve multiple attackers and require two magazines’ worth of ammo while others may not involve any shots fired). The point is that, with two decent-capacity magazines on your person, you shouldn’t feel undergunned with a compact 9mm. I have owned or shot most of these and can vouch for their reliability. All guns mentioned here have a polymer frame and are striker-fired unless otherwise noted. We’ll start with the one I mentioned above. The G19 is usually the mirror that other compacts are held up in front of, to see how they compare. Being the most-produced Glock makes this gun a force to be reckoned with. We shall look at the Gen 4 model, although it is now available in Gen 5 configuration. The Gen 4 is stocked in thousands of gun stores, both brick-and-mortar and online while the Gen 5 is becoming more available and is catching up with the Gen 4 on dealers’ shelves. It is your choice whether these upgrades are worth the extra money, although for a lot of shooters the first item on the list is enough to sell them on it. Many shooters do not like finger grooves – it depends on the size of your hand among other things. Anyway, either of these models would certainly fulfill the duties that a compact 9mm pistol would need to perform. 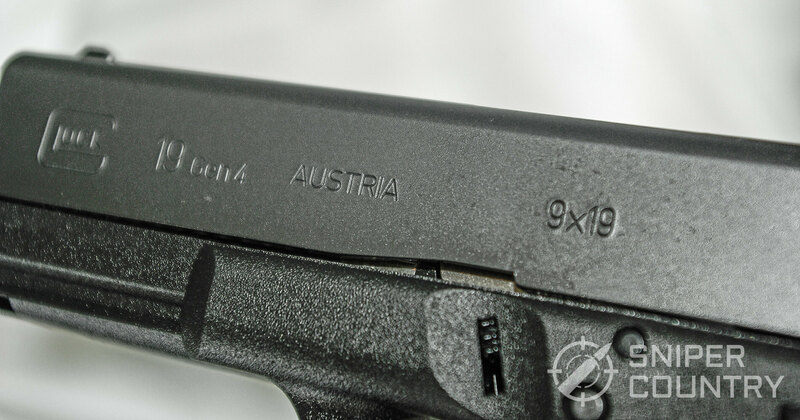 The Glock 19 is Glock’s best-selling model for a few reasons, but one of the main selling points is that it checks all the right boxes in terms of length, width, capacity and reliability. I daresay there are probably more G19s being carried than most any other brand you could name. Expect to pay a real-world price of around $499 for a Gen 4 and $560 for a Gen 5. The M&P series has been around since 1899. Originally designating a .38 revolver to be used by military or police units, the M&P brand has always been one of Smith & Wesson’s better sellers. Today, that label is used to describe both handguns and rifles. 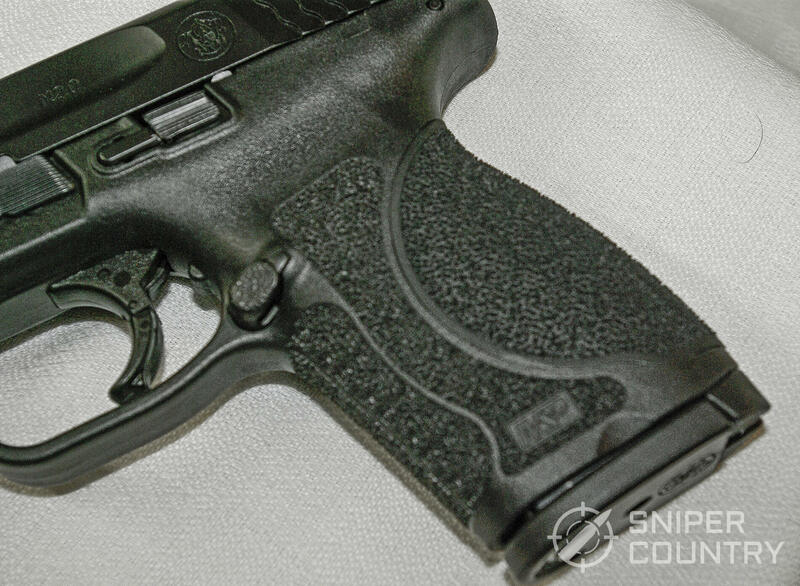 We will look at one the more popular versions, the compact M&P 9mm. This gun has earned a reputation for concealability and firepower. Featuring a reinforced polymer frame and superior ergonomics, the M&P 9C is found in many concealed carry holsters. A Melonite-finished slide and barrel mate with a stainless steel chassis to produce a pistol that not only performs well over time but also tends to show little holster wear. The new 2.0 grip texturing is very aggressive, almost similar to hand-stippling. This gun will stay put in your hand. I was truly impressed with how “sandpaper-like” it was. 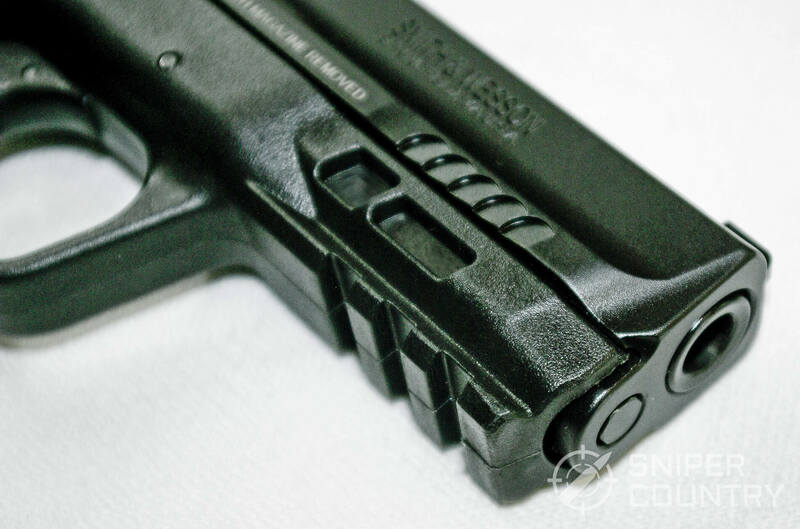 I like very aggressive texturing – I use stair step traction tape on my guns’ grips – and so I was pleased with the handling improvements S&W has made from the 1.0 model to the 2.0. Aside from the grip texture, what really stands out about the 9C 2.0? For me, it was the way it fit my hand. S&W has put a lot of money in R&D where ergonomics are concerned and it shows. This is one of those guns that just “feels right” in my hand. The grip circumference is not too great, plus you can more or less get all three fingers on the grip with the flush magazine floor plate in place. You can definitely do so with the extended floor plate. (The ability to use the full-sized M&P 9mm’s 17-round magazines doesn’t hurt anything, either, with or without a grip adapter). These factors help make the 9C 2.0 very controllable. Add to that a lower bore axis than some previous S&W semiautos had and the 1911-like grip angle and you have one very shootable pistol. Accuracy is there, along with reliability. There are more than a few police departments who carry M&P 9 pistols and who allow the 9C to be carried off duty if the officer qualifies with it. Add to the mix the fact that you can get one with a thumb safety if desired and you have a top choice for a carry gun. A plus for qualified law enforcement officers is the availability to purchase this gun with night sights. For the rest of us, third-party night sights are available. A real-world price of around $470 puts this gun in lots of holsters. 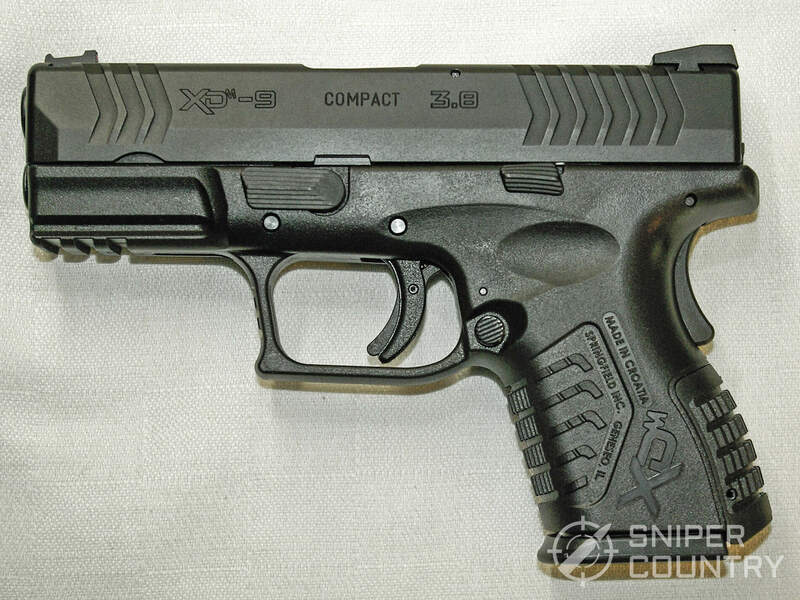 I think the XD(M) 3.8” compact might take the prize for the greatest magazine capacity of all the guns we’re looking at now. 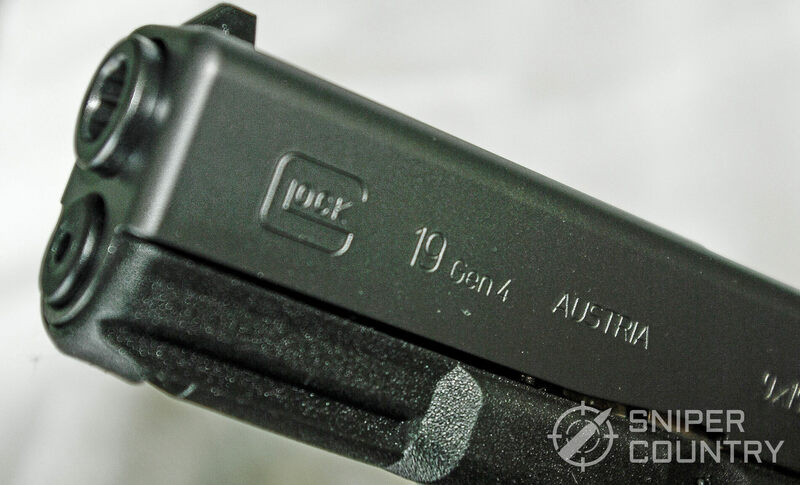 Using the Glock 19 as the gun that we compare others against, the XD(M) is a quarter inch shorter with its flush 13-round magazine and about a half inch shorter in length. 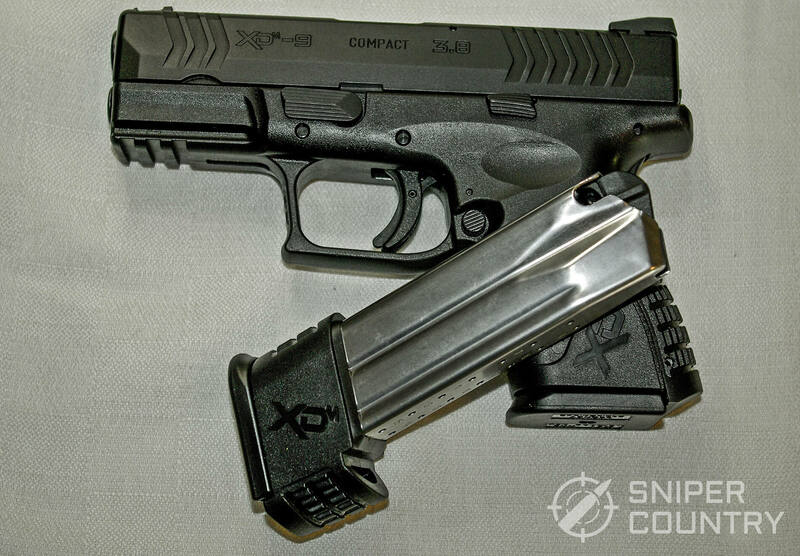 When using the extended 19-round magazine, the XD(M) is about an inch taller but gains four more rounds. We could play the numbers game all day but what counts is if the gun works for you. 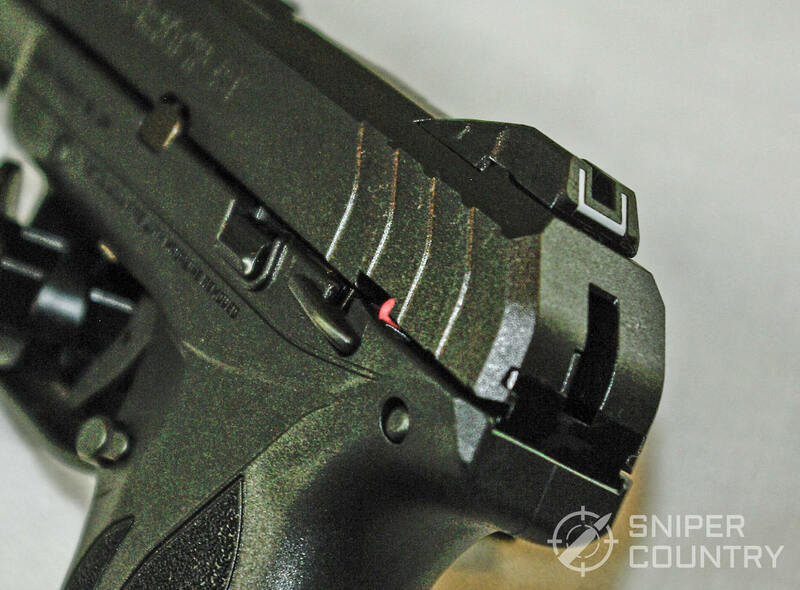 The Springfield Armory XD line has been successful. The carry guns that they sell invariably have very decent capacities and great ergonomics. The “plain-Jane” XD Mod 2 three-inch barreled 9mm is smaller, lighter and lesser-expensive than the XD(M), in case you need to go with a shorter barrel. Why do I mention the XD Mod 2 when we’re talking about the XD(M)? To show the versatility of Springfield Armory’s pistol offerings…they offer many different variations on a theme. Why XD(M)? What does that “M” stand for? According to Springfield’s web site, the M series guns utilize a Melonite finish, have multiple interchangeable Mold-Tru back straps and use Mega-Lock frame texturing, all pointing to Maximum flexibility. Marketing hype aside, the XD(M) is a popular choice. 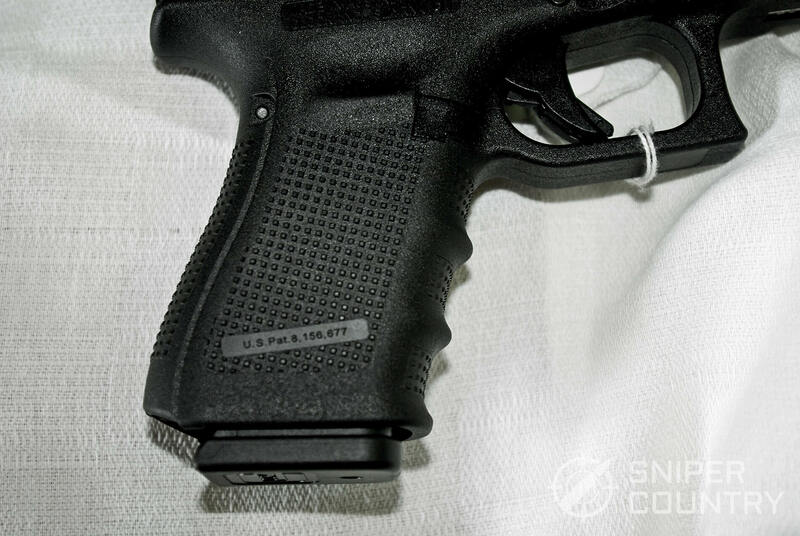 The gun also has a loaded chamber indicator that is tactile (a lever on top of the chamber that pops up when a round is chambered) and a striker-status indicator on the back of the slide. In addition to the usual striker-fired guns’ trigger and internal safeties, the XD line (except the XD-E) uses a 1911-style grip safety. These guns are exceptionally safe to carry and to re-holster. Just put it back in your holster while keeping your hand off the grip safety and even if the trigger gets caught on something, it can’t fire. I understand that most of us don’t shoot ourselves while re-holstering, but it does happen occasionally. This is just one more safety feature that the XD(M) offers. Some like it, others not so much. You have to decide if this type of safe operation will work for you, or if you’d prefer something else. One complaint I hear about the grip safety is that it would be easy to grasp the gun in such a way that the safety bar isn’t squeezed in enough to allow the gun to fire. After trying every way I could think of to grip the gun in such a way so as to not depress the grip safety, I couldn’t. No matter if I held the gun very loosely, sideways gangsta-style, or limp-wristed it, it always (dry)fired. 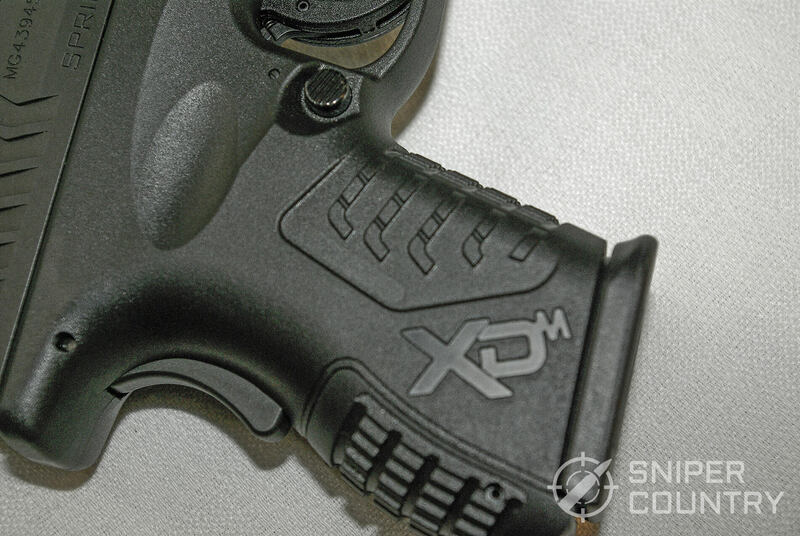 Whether you are (or are not) a grip safety fan, that seems to be a non-issue with the XD guns I’ve handled. Expect to pay a real-world price of around $500-$550. Two fifteen-round steel magazines. 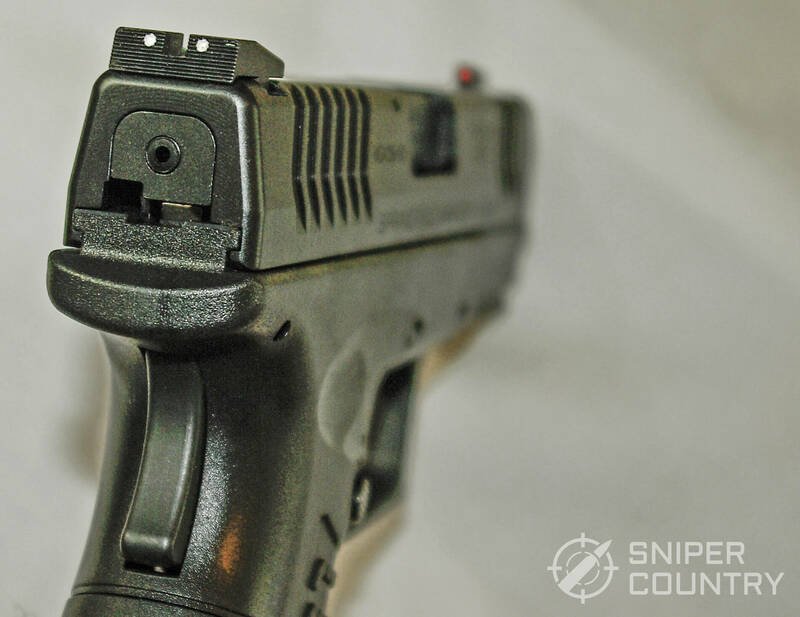 Swappable, Glock-style “cup and ball” sights. Manual safety. Through-hardened chrome-moly blued slide. Hammer-fired action. No trigger-pull takedown. Street price: $299. It’s not. 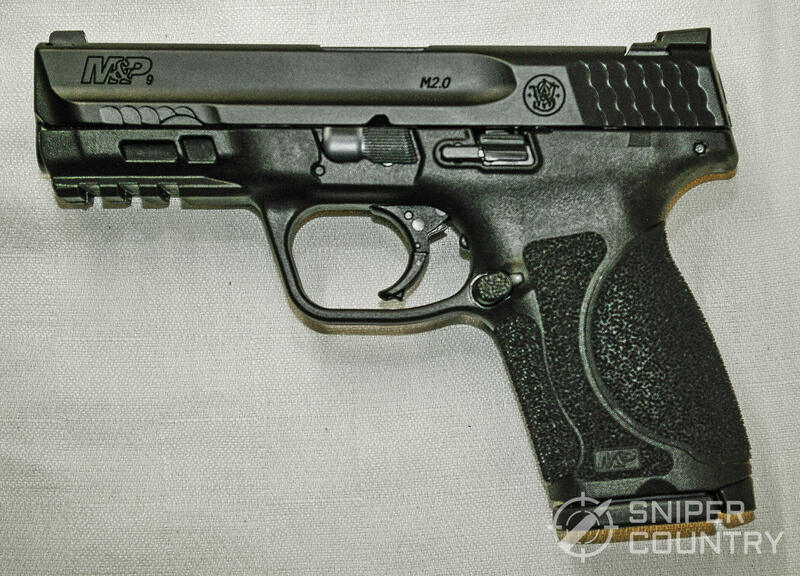 It’s the Ruger Security 9 pistol that was introduced earlier this year. This gun is, intentionally or otherwise, a lesser-expensive competitor to the Glock 19. If you want something like a G19 but only have three bills to spend, here’s your huckleberry. 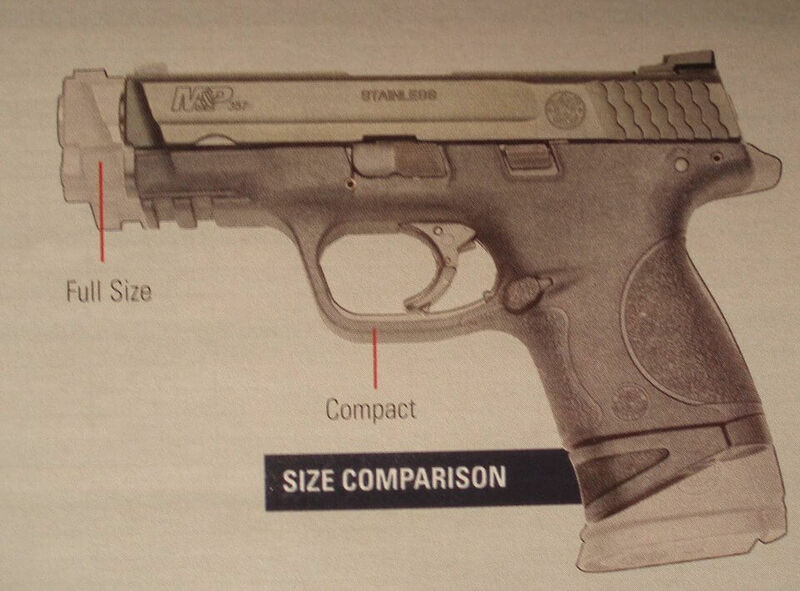 Ruger basically up-scaled their LCP II .380 and reinforced it in order to fire the 9mm round. The action is the same – hammer-fired with a fairly light trigger pull. 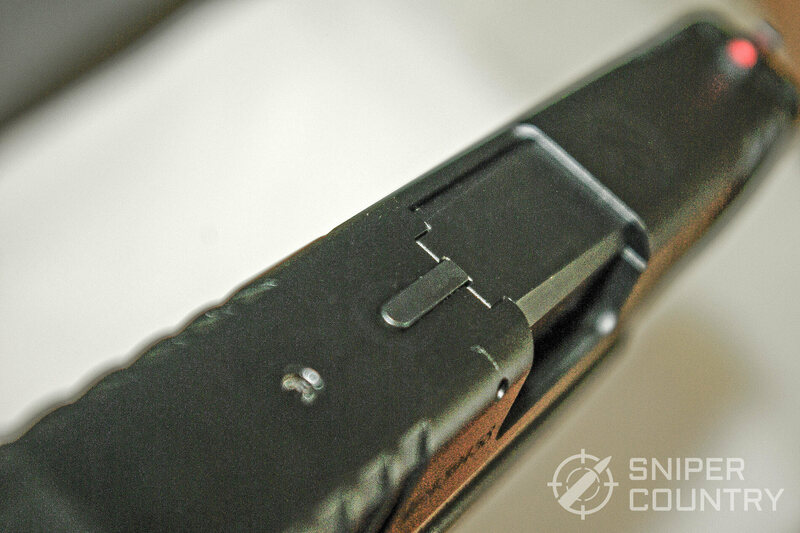 Takedown is the same, as well – remove a pin and the slide comes off, no trigger pull needed. Add in a thumb safety that you can either use or ignore and you have one very well-designed pistol. Light enough to carry inside your waistband with enough capacity to protect your home, accurate enough for steel shoots… this is one versatile, well-built pistol. 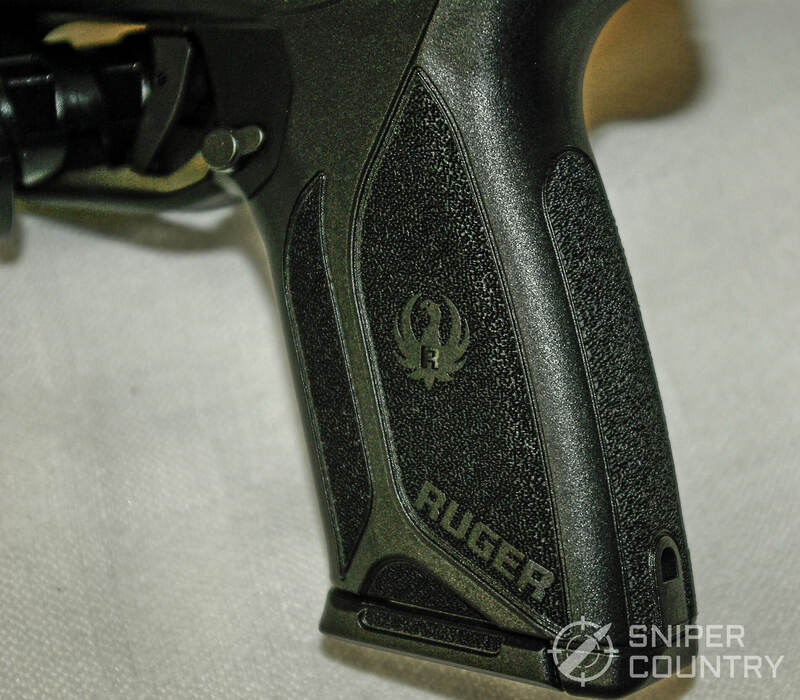 Add in Ruger’s stellar customer service and this gun is hard to pass up. In 1972, Ruger introduced its first double-action revolver, the Security Six in .357 Magnum. Marketed to law enforcement agencies, the revolver started a trend that continues to this day. Today’s Ruger revolvers are tough, but their over-built reputation had to start somewhere. The Security Six .357 was one tough revolver. Fast-forward from the 1972 Security Six forty-five years or so and now we have the semiauto version. Police department sidearm needs have changed over the years as society has changed. Because of those changing requirements, police departments have transitioned from revolvers to semiautos. This not news to most of us but I mention it to help explain why the new Security 9 was tagged with that moniker. 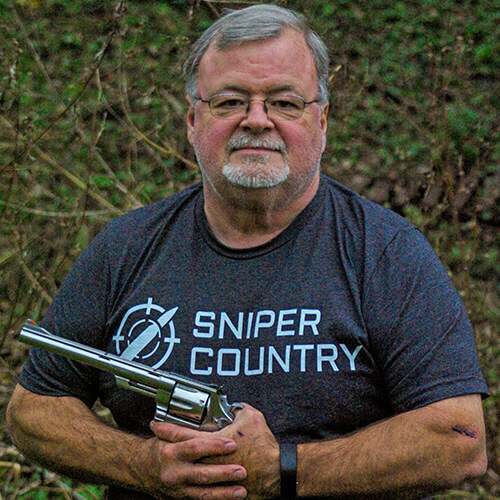 The handgun culture has mostly transitioned from wheelguns to self-loaders. As if to put the final nail in the revolver-for-police-use coffin, the New York City police department is phasing out the last of its revolvers by the end of this year. 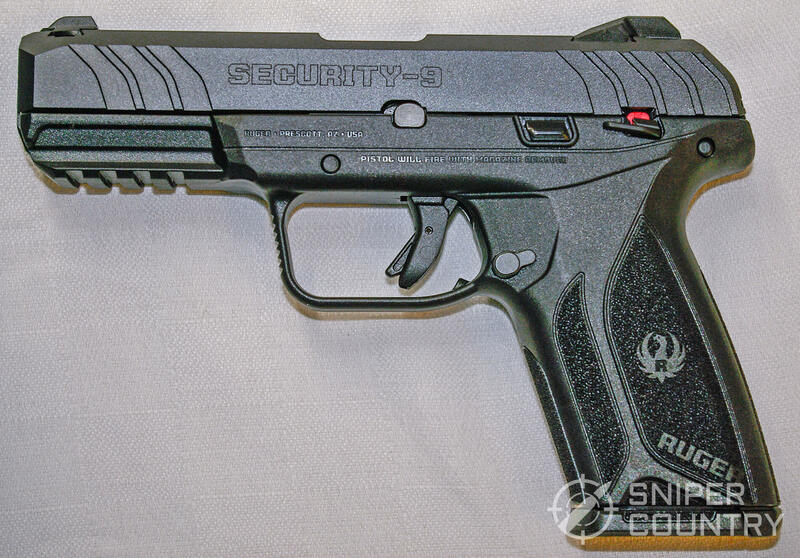 Now we have Ruger’s newest Security-named handgun, the Security 9. With it, we have a compact, +P-capable, 15+1 round 9mm that could ride just as easily in a Level-2-retention police holster or on your belt and be welcome in either place. Make no mistake, this is a quality piece of ordnance and performs above its price point. It is one of the better values in compact pistols at this time. Being a striker-fired version of an already popular gun has its advantages. The Sig P250 came first; the P320 is its striker-fired first cousin. P250 frames and magazines are interchangeable with the P320, even. 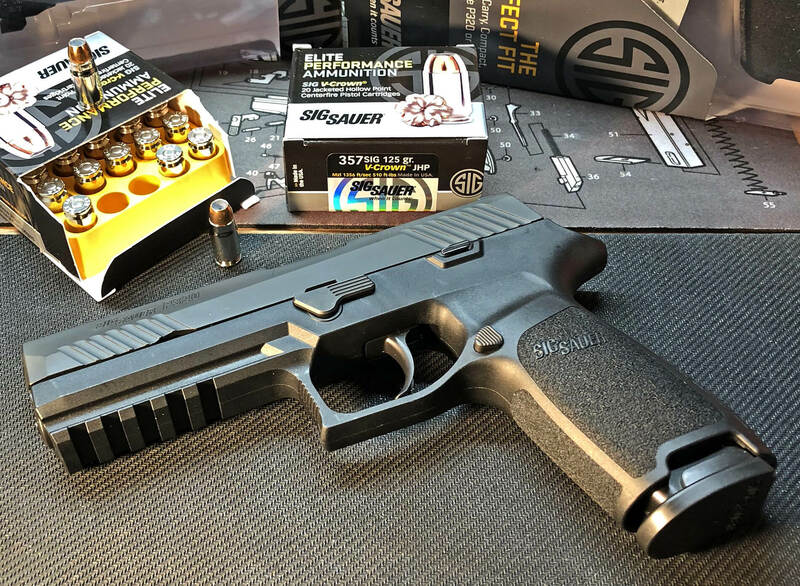 The Sig P320 has been in the spotlight recently, what with the Army adopting a full-size version of this gun to replace the Beretta M9 that had been in service for thirty-three years. Why mention the Army’s new gun when it’s a full size? We are looking at compact 9mm guns, but the full size is very similar which means that a lot of the engineering that went into the gun the Army adopted is present in the compact version. 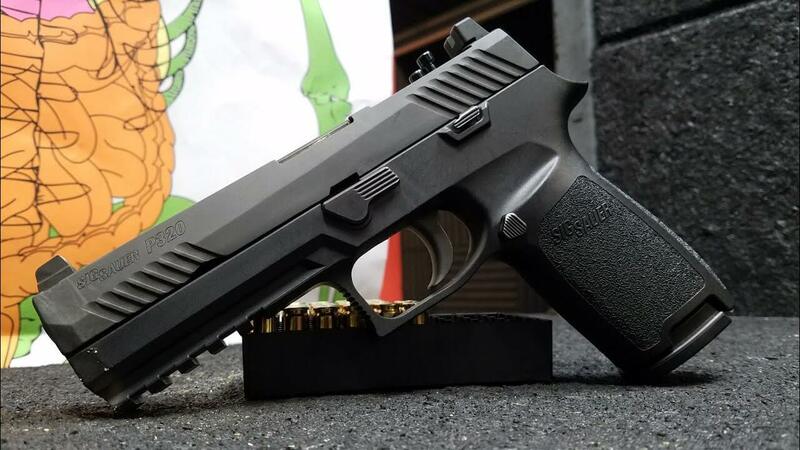 Sig guns carry a fine reputation (especially among military and law enforcement units) of being tough, reliable guns. The compact P320 makes a good carry gun, even though it is not quite as svelte as some of the others we’re looking at here. Some guys don’t like “skinny” guns but prefer to have a little extra grip to hold on to. The P320 is a touch wider than some but still fits very well in an inside-the-waistband holster. And, at only about twenty-six ounces, it won’t drag your belt down too much. A quick perusal of Sig’s web site shows no fewer than nine versions of the 9mm P320 compact. Some are for capacity-restricted states. The others listed include guns with or without night sights. One advantage of the Sig P320 is its modularity. The fire control unit carried inside the frame is the serial-numbered part that the BATF considers the gun. The frames are interchangeable, in both size and color. Want a smaller frame? They’re $44. Want a FDE frame? $44. Full-size? $44. The only thing to consider is make sure you match the frame to a compatible slide and magazine. This type of adaptability lends itself to a lot of customization by the shooter. The ability to change frames sets the P320 apart from most other compact 9mm pistols. This compatibility extends from the 9mm to the .40 S&W but not to the .45 ACP…you can swap frames, etc. among the smaller two calibers but not the .45. The compact P320 with its decent trigger (around 6.5 pounds) and night sights is a popular carry gun. An ambidextrous slide release lever, reversible magazine release and forward slide serrations help the gun in the ergonomics department. The only comment I’ve heard that isn’t positive is that the gun has a rather high bore axis, which in some pistols causes the muzzle to flip up in recoil as the gun rotates around the axis of your hand…the lower the barrel’s bore axis to your hand, the less rotation usually. This is purely a subjective call – some people “feel” more muzzle flip than others. I sure wouldn’t let that be the only reason I that I chose another gun instead of the P320. The P320 is a fairly hot-selling item right now, which means that some locations may discount it while others don’t. I’ve seen the night-sight version selling anywhere from about $470 to almost $600. The Sig name, to a lot of people, guarantees quality so price is not an object. Only you can make that call. The gun is solid, and would be a good fit for a concealed-carry holster. I did notice today at one of the local gun shops I frequent that they had the P250 hammer-fired Sig clearance-priced around $300. Except for the hammer vs. striker, the guns are pretty much the same. You may want to see if you can find a similar deal when you go shopping. We’ve talked about Goldilocks and her middle-ground-is-best philosophy. Only you can decide if a mid-size gun is right for you. Getting the best of both worlds in terms of size and capacity, the compact 9mm is definitely worth taking a look at. Another plus is that some of these guns will take their full-size-counterparts’ magazines. You could have an easily-concealed gun to pack (with its flush-fit magazine) but carry one or two full-size magazines as back up ammo. There are a lot of good reasons to look at a compact. We’ve examined five of the best – now it’s up to you to choose the one that works the best for you!